This blog is part of a podcast series following one Minnesota farmer through a season of strip-till. Listen to the full audio episode by scrolling to the bottom. A wet May gave way to a gorgeous June for farmers in western Minnesota’s Lac Qui Parle County. 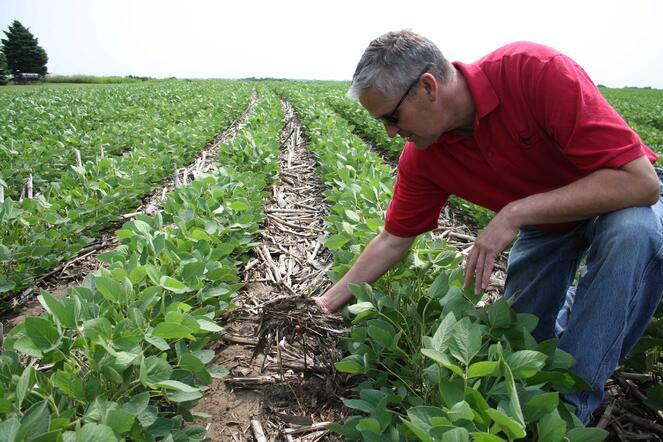 Ed Hegland, who grows corn and soybeans south of Appleton, Minnesota watched as his crops took advantage of the warming sun and adequate rainfall to grow strong and healthy on his zone-tilled fields. But as is often the case, weather can be fickle…for Hegland and many of his neighbors, July entered with a bang. 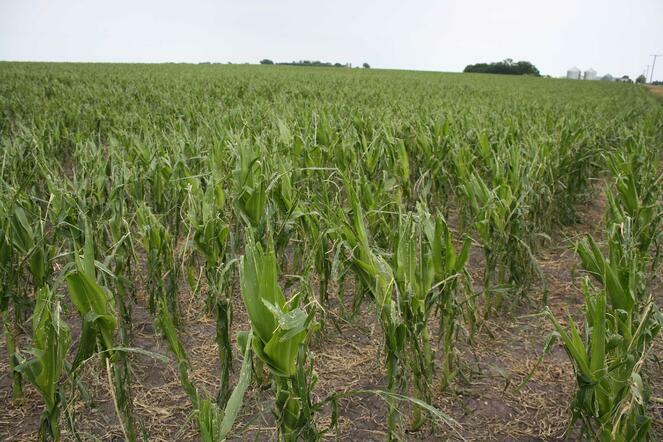 An early July hailstorm damaged or destroyed tens of thousands of acres of crops in western Minnesota. As farmers know, despite their best planning and intentions, they’re left to deal with factors beyond their control. Compared to conventionally-tilled crops in the area, Hegland says his crops look every bit as good. Those not impacted by hail are developing nicely. Soybeans are flowering and the shoulder high corn isn’t far from tasseling. Weather is the wildcard that farmers work with but can’t control. However, Hegland says practices like zone-till farming help growers better deal with some of Mother Nature’s extremes. “Strip-till and reduced tillage really does help with water erosion. There’s better soil structure, more organic matter, roots from the previous year holding the soil in place, so it really does make a difference,” he says. Hegland says he recently finished side dressing 28 percent nitrogen on his corn and spraying post-emergent herbicides to treat weeds. Now his primary focus is on scouting for pests like soybean aphids and for weeds that may have escaped herbicide treatments. Weed control is an on-going concern for all farmers, but Hegland says the residue strip-tillage leaves behind does help suppress weeds. For the next few weeks, Hegland’s primary role will be to scout his growing crops. He’ll also keep a watchful eye on the skies for more storms. Listen to other podcast episodes. Add to your strip-till knowledge by downloading our ebook today!